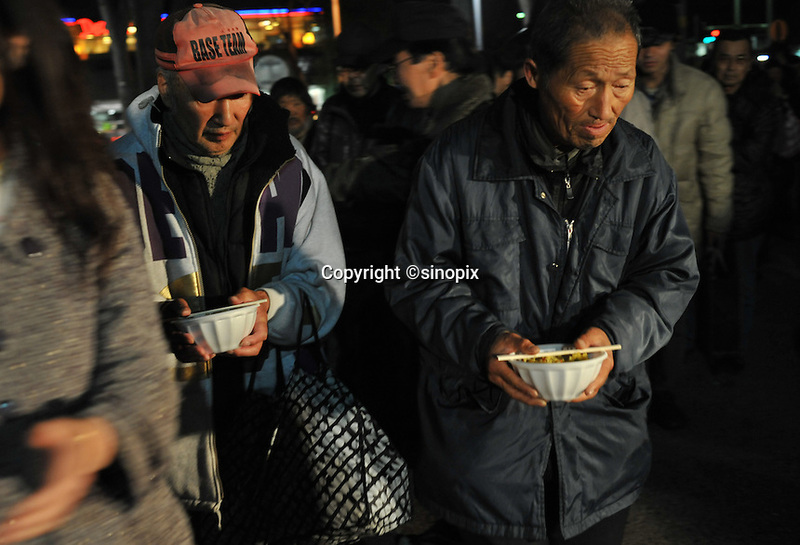 Homeless collect food donated by a charitable group in Shinjuku Park, central Tokyo 15 February 2009. The numbers of homeless has sky-rocketed in recent months. According charity groups who distribute food and blankets, numbers have increased by 80% in many central Tokyo parks as people have lost hundreds of thousands of jobs since the financial crisis that started in earnest year in November 2008.